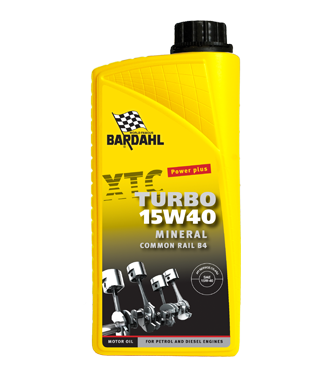 Bardahl engine oils are available in various types, viscosities, packing etc. However Bardahl motor oil always means: exceptional good lubrication of your car, motorbike, scooter, tractor, cart etc. Engine oil however is for many people an abstract product and with numerous questions. Why is it important to refresh your engine oil, what is the correct oil for my engine? API and ACEA? With ten questions and the answers we you lead in the world which called motor oil ! 1. What is the function of engine oil exactly? • Engine oil ensures the filling between pistons and cylinders. • Engine oil avoids the contact between several moving parts. • Engine oil descends warmth, which comes from the combustion process. • Engine oil takes combustion rests and wear shares and descends these of. 2. How can I recognise an motor oil quality? An engine oil quality is indicated by international standards API and ACEA and standards of the car manufacturer. API stand for: American Petroleum Institute. This is an American institute, who indicates the quality of oil. API makes distinguish between petrol engines and diesel engines. Petrol engines are indicated with the letter S. Diesel engines are indicated with the letter C. With a second character the quality level is indicated. With some exceptions: how further in the alphabet, how higher quality. For example an motor oil can have an quality SL/CF. 4. What means ACEA used for an motor oil? The ACEA is an European standardisation and stand for: Association des Constructeurs Europeens d’Automobile or Association of European Motorcar Manufacturers. The quality name of the ACEA exists of a letter, with a number. ACEA makes distinction between petrol engines (indicated with letter A), light diesel engines (indicated with letter B), diesel engines with a particle filter (indicated with letter C) and heavy diesel engines (indicated with letter E). With a number, behind the letter, the quality level is indicated. Thereby applies: the higher the number, the higher quality. For example: a motor oil can have the specification A3, B4, C3. 5. How can I choose the correct motor oil for my car? In the instruction notebook of the car you can find which type of motor oil (this means which specification) the engine or transmission of your car needs. 6. What is viscosity and how can I recognize this of a engine oil? 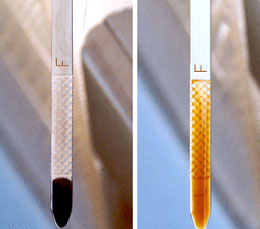 The cross-section of an engine oil is an important value. This is indicated by the term viscosity, which depends upon on the temperature. Oil with a low viscosity is thin and oil with a high viscosity is thick. SAE (society or Automotive Engineers) is the international institute which has made the standard for engine oil viscosity. The viscosity of motor oil has been fixed at low and at high temperature. That is how the name for oils become: SAE: 5W30, 10W40, 15W40, 20W50. The first number with the letter W: the lower the number, the thinner oil is at low temperatures (important at cold start). For example SAE 0W, 5W, 10W, 15W, 20W etc. The second number after the character W: the higher the number the thicker the motor oil remains at high engine temperatures (very important in the summer) Most used numbers are: SAE: 30, 40,50. A general principle: the higher the SAE number, the higher the viscosity. 7. What is the advantage of synthetic motor oil? When you use synthetic engine oil there are a number of advantages: A synthetic motor oil has a lower capacitance, with as result a lower fuel consumption. A more favourable fuel consumption means of course a cost saving. And also the environment is helped when your engine uses less fuel. A synthetic motor oil is thinner, so the oil, also at cold starts, lubricates itself more rapidly through the engine block. By the fast lubrication engine wear is strongly reduced. Synthetic motor oil ensures for more stable thermal properties. This means that the oil is longer and better protected against heavy loads and thereby longer oil drain intervals are possible. When do you have to refresh your oil? This depends on the car and type of engine. In the instruction notebook you will find the oil drain interval. 8. When should I add motor oil? With the oil dipstick you can measure whether there is enough oil is in the engine for sufficient lubrication. Please note: the difference between minimum oil that it needed and the maximum is 1 liter. Check your oil level regularly. When the oil light on your dashboard illuminates because you’re already too late! It is advisable to keep a one-liter container (the correct oil for your vehicle type) in your car. If the oil light lights up, you can add oil and continue driving. Keep on driving with a low oil level may cause (permanent) damage to the engine! What if still the oil light light up? It is advisable to stop the car as soon as possible. Add the correct engine oil immediately (the oil level should be between the min – max). Then drive to the first gas station or garage, measure again with the oil dipstick if the oil level now is oke. If necessay add as much oil as need. 9. Is it detrimental if motor oil of a another mark is topped up? In principle no, that’s if the other motor oil has the same quality level (= equal specifications) and (preferably the same) the same viscosity. 10. How about this when I have a diesel particulate filter? For cars equipped with diesel particulate filters, it is very important to use the correct engine oil. Engine oil without proper specifications will lead to (additional) more pollution (including soot) and the diesel particle filter will be filled up sooner. The pollution is bad for the engine and diesel particulate filter, but also for the turbo which is very sensitive for pollution. Which oil you need depends on your type of engine. Bardahl has a complete range of motor oils suitable for diesel particulate filters. Did you know that 25% of the engines has an oil level which it too low? With the oil dipstick you can measure whether there is enough oil is in the engine for sufficient lubrication. Please note: the difference between minimum engine oil that it needed and the maximum is 1 liter! Check your motor oil level regularly. When the motor oil light on your dashboard illuminates because you’re already too late! How can I easily check my engine oil? 1. Gauge always when the engine is cold. The motor oil is then at the bottom of the pan and you can gauge exactly how many engine oil there should be added. 2. Ensure that the car on a horizontal surface. 3. Then pull out the oil dipstick (if you can not find it, then check your owner’s manual where it is located). 4. Use a cloth / paper to clean the dipstick and insert the dipstick fully back. 5. Pull out the dipstick again and check up to were the oil is on the dipstick. On the oil dipstick are: or ticks or min – max. 6. If the oil doesn´t come up to the maximum , you need to fill motor oil up to the maximum. Never fill more oil than to the MAX! It is advisable to keep a one-liter container (the correct oil for your vehicle type) in your car. If the engine oil light lights up, you can add oil and continue driving. Keep on driving with a low oil level may cause (permanent) damage to the engine! What if still the oil light light up? It is advisable to stop the car as soon as possible. Add the correct engine oil immediately (the oil level should be between the min – max). Then drive to the first gas station or garage, measure again with the oil dipstick if the oil level now is oke. If necessay add as much oil as need. The opposite is unfortunately true. Especially when you often drive few kilometers and your car standstill often (for example your classic car), it is important to change motor oil regulary. (1 time per year). A number of problems arise if you do not observe the aging of oil. • The first problem is moisture: this causes corrosion of engine parts. • Secondly, it is the aging of the additive package. The cleaning and lubricating properties degrease with time. Wear is then soon in sight with all its consequences.